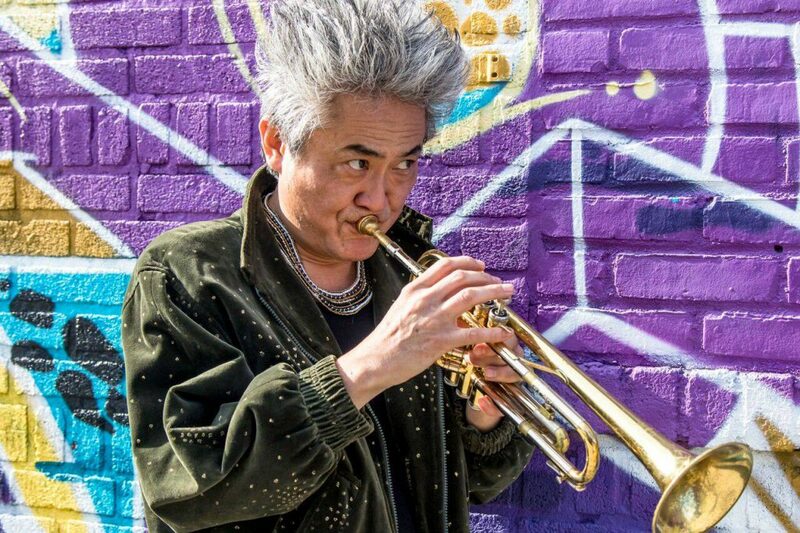 Producer/DJ, Multi-instrumentalist has been playing trumpet, keyboards, and various electronic instruments for over 20 years throughout the United States and the world with a diverse group of artists such as Quincy Jones, Lee scratch Perry, Gza(Wu Tang Clan), DJ Shadow, Cocorosie, George Russell’s Living Time Orchestra, Arto Lindsay, Vernon Reid, Jojo Mayer’s Nerve, Brazilian Girls, Organic Grooves. and many others. As Remixer he worked on Quincy Jones/Bill Cosby (the new mixes, vol. 1), The Streets (Weak Become a Hero), and Billy Holiday /Remix&Reimagined(Sony) and many more. With his diverse background of music, he has distinguished himself by composing and effectively fusing uncommon and exciting styles of music, leaving audiences and music critics alike ecstatic and excited for future performances. Takuya moved to New York from his native Tokyo in 1994 and became an integral, sought after part of NYC’s vibrant underground live/electronic scene: including the legendary “Prohibited Beats” party, known as the most eclectic drum & bass/breakbeat party with Jojo Mayer’s “Nerve”. In 1999, he joined Organic Grooves(Codek Records) party. In 2004, Takuya founded the experimental space-rock band “Marianne” and will be releasing a new album at the end of 2017. In 2011, He released his own space jazz album with remarkable New York jazz musicians and performed at monthly jazz event at Uniqlo in NYC, Zebulon and many other clubs. In 2012 He toured with DJ Shadow as a opener with Nerve for Dj Shadows US tour. Takuya also supported Lee Scratch Perry, Gza of Wu Tang Clan for their NewYork shows same year. In 2013, he started touring and recording for “Cocorosie”. “Sin fronteras” (Wonder wheel records) and started to tour worldwide. Same Year he produced and performed Helio Parallax’s debut album “Helio Parallax Vol.1” and release with Bill Lazwell’s M.O.D Technologies. It was chosen for the 20 best Jazz records of the year from Down Beat Magazine. He worked as an opening DJ for Cocorosie’s Europian and US tour and also currently has residency at The Lot Radio (Brooklyn). He will DJ continually at clubs and festivals all over the world.